A teacher explains why choosing a school based on NAPLAN results is misinformed. Rose Pennington is a teacher, writer, trainer and a passionate and dedicated advocate of incorporating social and emotional learning as a priority across the school curriculum. Most people you speak to who have anything to do with school age children have some sort of opinion about NAPLAN. For some, the results seem to be a useful way to compare schools against each other and for others a way to measure their child against averages. Others view the tests negatively and focus on the stress it puts students under, and question whether they’re worth it. Teachers may appreciate the snapshot information the results provide, to identify common errors and the progress of a certain cohort through the school. They are less likely to enjoy the chat that surrounds it – I’ve even heard Year 2s cite the tests as a reason why they don’t want to start Year 3! Some kids wear themselves out with torturous questions like: “Will the tests be too hard? What will happen if I can’t answer a question? When are the results out? Am I stupid?? ?” I would be interested to know whether it is scaremongering older siblings that are inciting this fear, or if they are overhearing adult conversations about the topic. Are they hearing adult conversations about the topic? Image via iStock. It’s a mistake for parents to make a choice of a school based on NAPLAN results. If they really want to judge a school against another based on results they should be looking at the overall progress of the student body rather than academic scores. This is because straight achievement results simply reflect what students are capable of doing, not the potential that the school is likely to bring out in your child. A school that focuses on the progress your child can make, from any starting point, is the one that you want; they are the schools that will treat students as individuals and progress them at the rate that is appropriate for them. So how should we approach NAPLAN with children, before the event and after the results have been released? Parents and caregivers have control over the emotional ramifications of the tests. Kids are perceptive and pick up on hushed conversations about ranks and levels so avoid this – even a discreet ‘look’ creates atmosphere. Mia Freedman and Leigh Sales discuss the most useful thing they learnt at school. Post continues below. The thing to remember about tests is that they give results about specific skill sets. 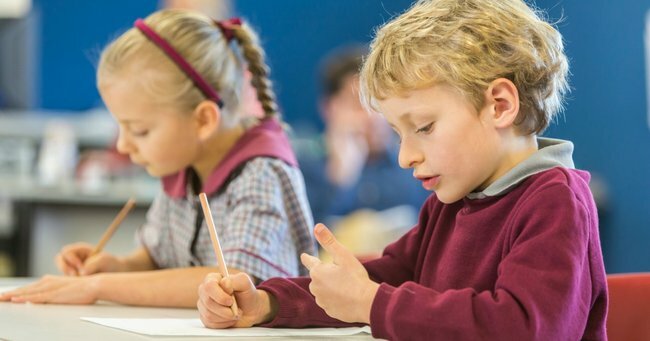 NAPLAN aims to measure literacy and numeracy abilities but doesn’t give any clear indication as to a students’ creativity, artistic talents, physical abilities, etc. My point is, children have many strengths that can stretch beyond literacy and numeracy and it is important that they understand them, and that they are celebrated. I understand that literacy and numeracy skills are important. But stressing about a test that records achievement on one day, in one set of circumstances seems futile. The results should be considered along with other educational indicators and if they are progressing steadily then that is what matters. The test doesn&apos;t measure creativity, artistic talents or physical abilities. Image via iStock. Talk to kids about what they think they’re good at, as well as their limitations, and discuss ways in which to build upon them. Acknowledge NAPLAN results but stress to them that they are not the be all and end all – whether they achieved high levels or not. What matters is that they are realising their potential across the board. As far as I’m concerned, we should be measuring schools’ abilities to understand students as individuals and extend them in their own way. Put that on the My School website and it will give parents something worth paying attention to.